Manufacturing jobs expected to decline as total employment increases less than previously predicted. Automation, e-commerce and other trends disrupting the global economy are expected to take a toll on jobs in the Portland area, according to Metro. Although Metro confirms the population will continue growing as expected over the next 20 years, the elected regional government now predicts that nearly 9 percent fewer jobs will be created than it estimated just three years ago — and 9,000 manufacturing jobs in the region will actually be lost by 2038. The new predictions are in Metro's 2018 Growth Report, which was released in June. The report says the reductions are the result of international employment trends that local experts confirm are accurate. "The manufacturing sector is a historic strength for our region and we expect it to do better here than in most regions around the country. Nevertheless, there are national and global trends at work that are likely to continue to shift the mix of jobs towards professional services, health and education over the long term," says Metro planner Ted Reid, who worked on the report. But some regional business and elected leaders in the region are pushing back against the revisions, arguing that accepting them means a lower standard of living for many regional households. Those leaders are especially concerned about the predicted loss of manufacturing jobs, which have historically paid more than most non-professional occupations. The Value of Jobs Coalition, an association of business groups and employment-related government agencies, has issued numerous reports over the years touting the benefits of manufacturing jobs. Portland Business Alliance Chair Dave Robertson wrote the Metro Council on Sept. 11 to express his organization's concerns over the projected loss of manufacturing jobs. Robertson said Metro should be working to buck global trends and create more manufacturing jobs. "Manufacturing is a critical component of the region's economy, providing jobs with good wages and benefits. In fact, according to a Value of Jobs study, manufacturing careers provide higher wages and better benefits than nonmanufacturing jobs, particularly for communities of color and non-English speaking workers. We believe the region should be taking steps to encourage this type of job growth," wrote Robertson, whose organization belongs to the coalition. 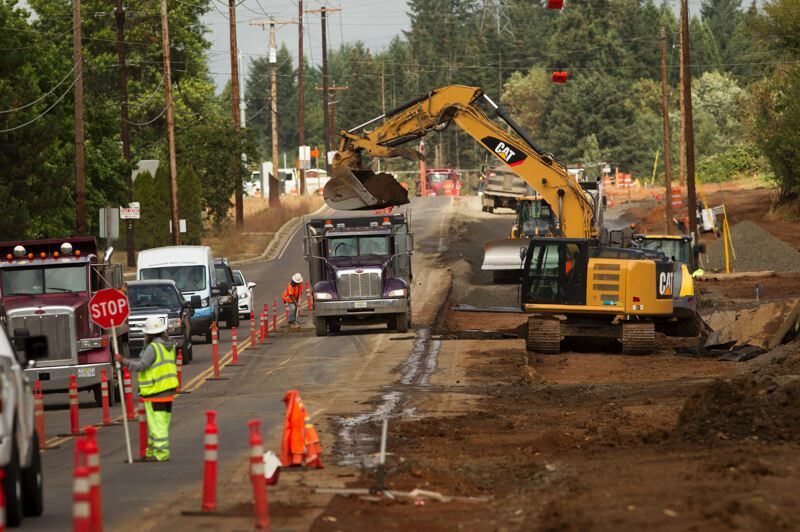 Ironically, the predicted decrease in manufacturing jobs was released just as Tualatin and Wilsonville were reaching agreement on future growth in the Basalt Creek area between the two cities. 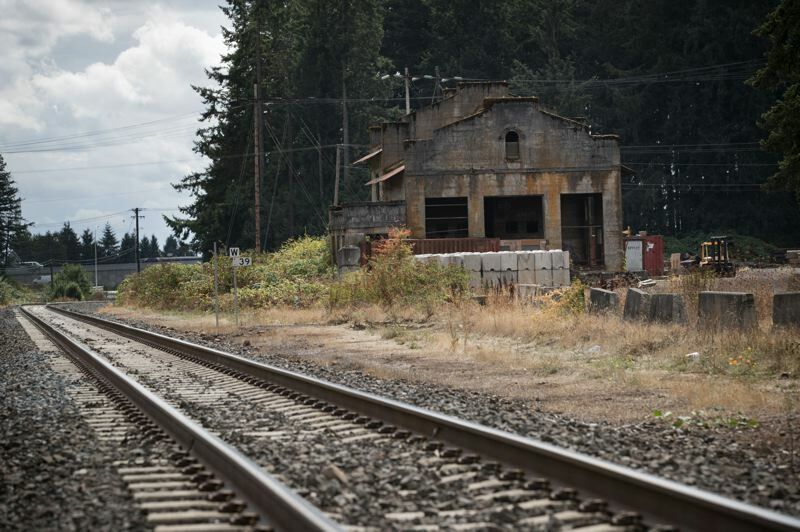 Most of the largely undeveloped 847 acres in Washington County are set aside for industrial development in the concept plan recently approved by both city councils. Construction is already well underway on major new roads in the area, largely intended to improve access to potential development sites. The Metro staff was aware of the employment-related concerns before the report was released. They are already preparing a study of the changing economy that will be presented to the Metro Council next year on the issue. Among other things, the report will discuss the mix of jobs in the region the council can expect in 20 years. The 2018 Growth Report was prepared and released to support the regional government's current review of the urban growth boundary it administers. State land use planning laws require the UGB to always include enough buildable land for 20 years of projected growth, including employment-related property. The report projects the population of the seven-county Portland-Vancouver region will increase from around 2.3 million in 2015 to about 3 million by 2040. That is just 0.2 percent less than Metro predicted in its 2015 Growth Report. But the new report predicts slower jobs growth than before. The 2015 report predicted the number of jobs would increase from about 1 million to nearly 1.6 million by 2040. But the 2018 report predicts just around 1.4 million total jobs in 2040 — an 8.8 percent reduction from the 2015 report. Metro Chief Operating Officer Martha Bennett relied on the 2018 report to support requests from four cities in the region to expand the urban growth boundary by 22,000 acres to accommodate 9,200 new homes. The requests came from Beaverton, Hillsboro, King City and Wilsonville. The Metro Council will vote on those requests by the end of the year. Although a small amount of business development is foreseen in some of the expansion areas, no city requested an employment-only UGB expansion, so the council is not considering any this year. The issue is especially sensitive in Washington County, where high-tech manufacturing at Intel and related companies has helped generate the highest median wages of any county in the state. Washington County Chair Andy Duyck expressed his concerns when he wrote the council to support the residential expansions on Sept. 6. "I must also express my disappointment that the urban growth management process resulted in very little additional employment land. This disappointment is compounded by the forecast of a decrease in manufacturing sector jobs and conclusion of no need for employment land," Duyck wrote. Reid defends the projections in the 2018 Growth Report as based on the best available information and consistent with other research, including a June 2018 analysis of high-tech manufacturing trends in the state by Josh Lehner, a respected economist with the Oregon Office of Economic Analysis. "We are also starting from high employment levels today, which means that — going forward — job growth will be closely tied to population growth and the needs of the population, such as health care, education, and retail services," Reid says. In fact, the Value of Jobs Coalition published a report last November about potential future job losses caused by automation and other changes in the economy. The report, titled "Automation and the future of work," found that 47 percent of U.S. employment is at high risk due to computerization, and that Oregon's overall risk is similar, although the mix of occupations differs. Jonathan Schlueter, Washington County government relations manager, also says the region should be trying to do better. There are very few development-ready industrial parcels within the UGB, he noted, and not many more are being prepared aside from the land in the Basalt Creek area. 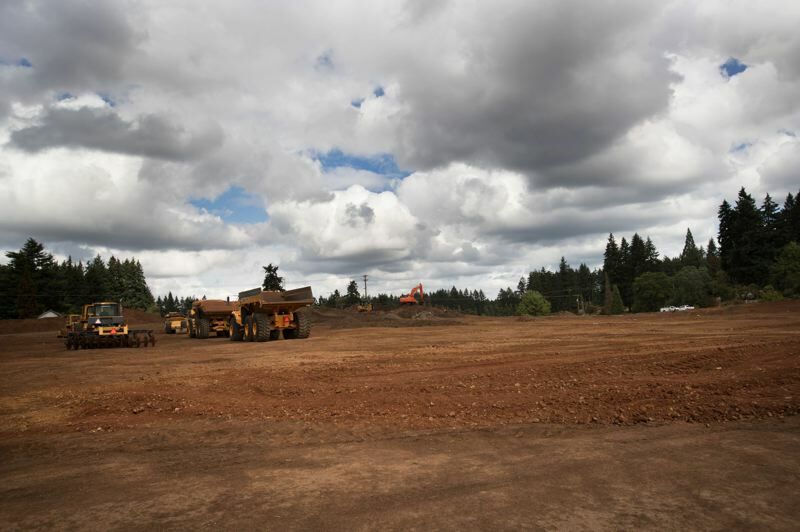 "Metro's own studies of industrial land availability in 2014 and 2017 have confirmed a serious shortage of developable ('shovel ready') employment sites across our tri-county Portland region," Schlueter stated in an email. "Employers — and even school districts — looking to expand and invest in our region soon discover how incredibly difficult and increasingly expensive it is to find developable properties with access to transportation, utilities, employees, suppliers, customers and communities they hope to serve."